23 July 2018. Damen officially becomes Owner of Daewoo Mangalia Heavy Industries. On 9th September 2016, C.D.M. (Curacao Droogdok Maatschappij) and Damen Shipyards Group signed a concession agreement for the future operation of the Curacao Drydock Company. The Shipyard is strategically located in the Southern Caribbean, en route to the Panama Canal, and safely outside the Hurricane Belt. As per present situation, Curacao Shipyard can accommodate vessels up to 270x48m up to (Aframax) size. Within the 2nd quarter of 2018, its capacity will be expanded to two more floating docks of 200x30m and 229x36m. On June 30th, 2017, the Yard was acquired by the Damen Shipyards Group and became a Damen Shiprepair and Conversion (DSC) Company. Situated in Rotterdam's Botlek area, Damen Verolme Rotterdam, is an active ship repair Yard since 1957. It is ideally located, in the heart of one of the world's largest industrial and transportation centres with drydocks size up to 405x90m. It's reference list has a range of significant and long-term projects from the International Market, such as OFFSHORE PROJECTS, OIL RIGS, DRILL SHIPS, VLCCS and CONTAINERS. One of the largest drydocks in Northwest Europe (420 x 80m). Adjacent port terminal facilities for (un)loading and temporary storage of containers. Centrally located at the entrance of the English Channel, directly facing the North Atlantic Ocean. The yard is able to accommodate vessels up to 420 metres in length, making it particularly interesting for larger cruise vessels. Large yard size with storage capacities and the ability to handle projects with a large logistical demand (such as cruise projects). Dating back to 1963, Damen Shiprepair Brest (DSBr) focuses on the ship repair and conversion of seagoing and offshore vessels. DSBr's highly skilled workforce is particularly well known for LNG tanker expertise, hard work and a no-nonsense approach to problem solving. A reliable subcontractor and supplier network. LNG tanker expertise (including GTT license). 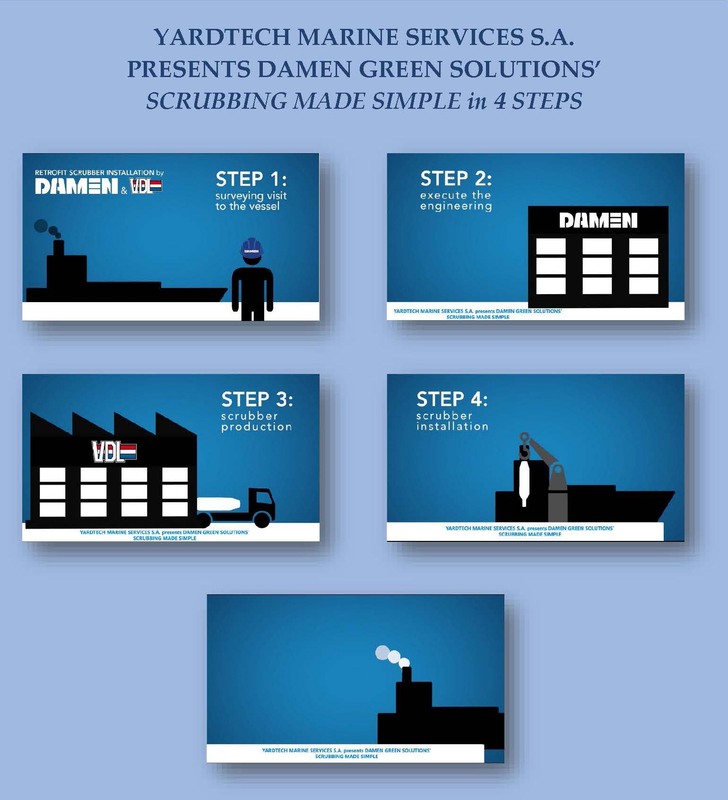 Damen Green Solutions (DGS) in partnership with Damen Shiprepair & Conversion (DSC) and AEC, the scrubber supplier, is trialling a new technique for retrofitting scrubbers. Designated the Modular Approach, this new process is designed to cut the time that a vessel typically needs to spend in dock from two or more weeks to just a few days. This dramatic reduction in downtime, in combination with a more cost-efficient, certified scrubber, will be welcomed by ship owners and operators. The expansion of our Principals DAMEN SHIPREPAIR AND CONVERSION, apart from North, West Europe, Curacao, recently to MANGALIA (Black Sea area) secures a variety of alternative locations for Dry-dock repairs with high standards. Maximum size of Dry-docks in BREST (420x80m) and VEROLME (405x90), for Vessels up to ULCC. The new Shiprepair Yard of DAMEN in Mangalia is located on the Black Sea coast. The yard spreading over an area of 980,000 sqm, has three graving docks (360X60m, 320X48m and 302X48m) with a total length of 982 metres and 1.6 kilometres of berthing space. The docks, with a width of between 48 and 60 metres can accommodate very big sized maritime vessels. 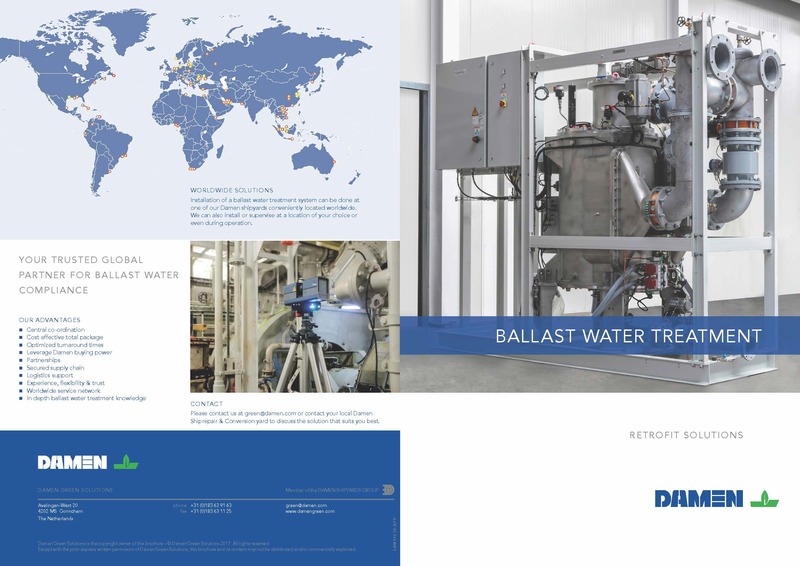 DAMEN Proposals for the New Regulations of Ballast Water Treatment and Scrubbers are valuable and offer the right solution to the Customers. Modern workshops with special facilities as well as a big factory with a storage of Anchors and Chains for any emergency case. Harbor and Voyage repairs with expert teams for inspection and immediate solutions. The repair section of our Principals TSUNEISHI CORPORATION in Hiroshima - Japan with big drydocks up to 330X54m is there for our Customers to provide them with highest standards and efficiency. The Cooperative Shipyards of PALUMBO GROUP in Malta, Messina and Napoli, located in a Strategic area of the Mediterranean Sea, are able to support drydock of big vsls up to 362x62m and afloat repairs. For the vessels which are trading in the wide area of the Adriatic Sea, our support is, VICTOR LENAC SHIPYARD in Croatia, which can accommodate up to Suezmax sized vessels (262mx53m). In another very popular commercial port, the one on the island of Singapore, Singapore Technologies Marine Shipyard is located, with a long experience in Commercial vessels. It is divided into two sections, TUAS YARD, for Drydock repairs of vessels up to Panamax size (240mx242,5m) and BENOI YARD, for Newbuildings. 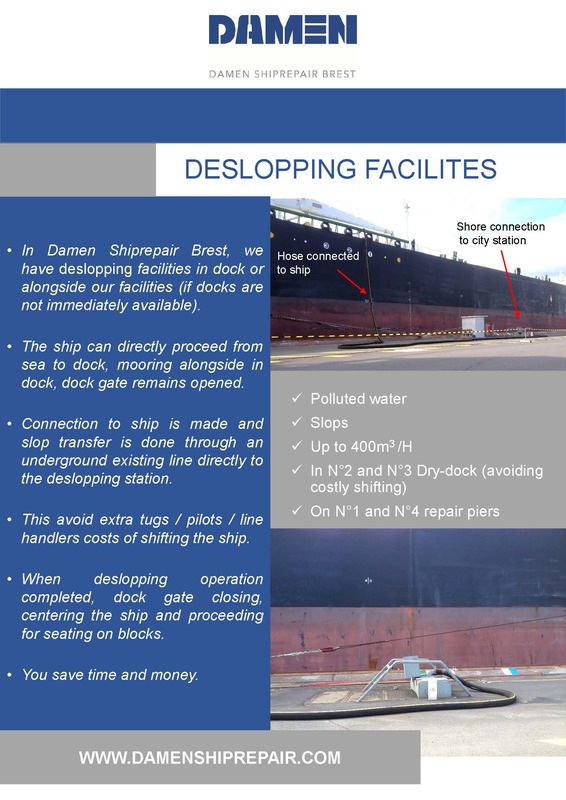 Alternatively, in 35 minutes sailing far from Singapore, in North West Indonesia, (Batam), ASL Shipyard, can accommodate vessels up to (Graving Dock - 270mx60m). Extending to Far Eastern area, our strong cooperations with the most serious and reliable Shipyards of China, we feel that we cover a wide range of Shipyards in the most popular areas for drydock and afloat repairs. We believe on a constant attention to our Customers. We believe that their success is our success. In our Company, a truly 24hours service, allows us to support Customers, responding quickly, in co-operation with the Principals, to their particular demands. We believe that despite the fact that speed is vital, it's not everything. We believe quality is a MUST and with us, it is ASSURED.